In order to provide special attention to all of our guests, we require group reservations for parties of six or more. 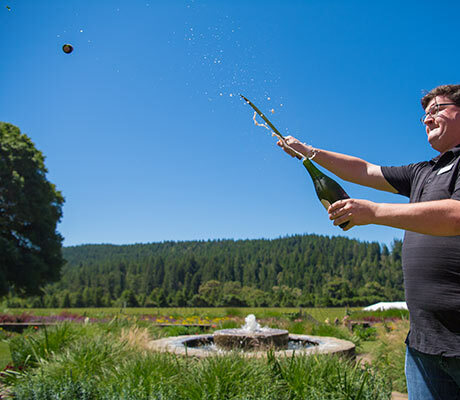 Over the past two decades, Anderson Valley on California’s majestic Mendocino Coast has emerged as one of the world’s great wine regions. 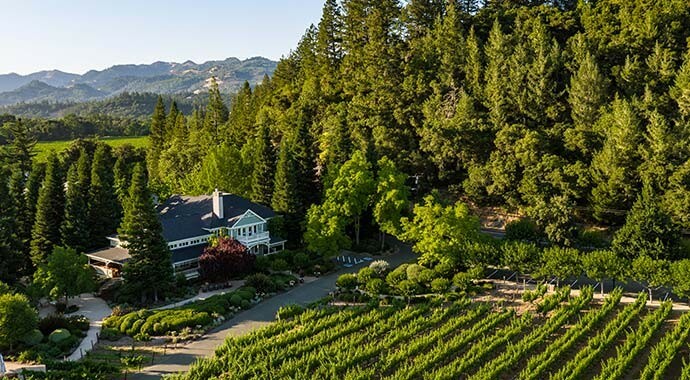 Set against a spectacular backdrop of rolling hills, redwood forests and vineyards, Goldeneye offers the Anderson Valley’s most memorable guest experience, with visitors encouraged to explore not only the wines, but also the beauty of the grounds and the surrounding area. Join us for a seated Essentials Tasting that highlights several of our current release wines or one of our unique Elevated Tastings in a smaller more intimate setting. We also offer an optional artisanal food pairing plate with your flight, for an additional fee. Picnic areas available. In addition to certified service animals, we welcome well-behaved dogs on leash on the property for outdoor tastings, with prior appointment. 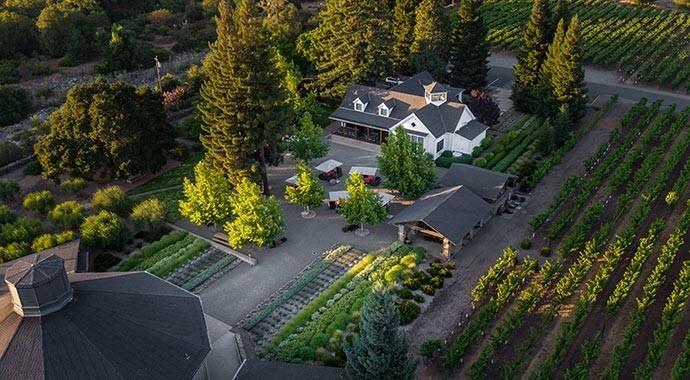 Enjoy all that Anderson Valley has to offer during your visit! 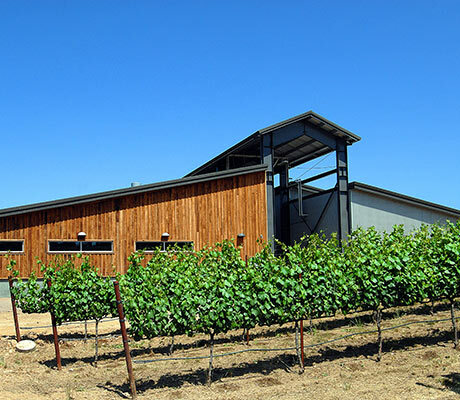 Review our short description of services, activities and tips to consider when planning your next trip through Mendocino's wine country! Transportation: Be sure to book car service or rental vehicles before arrival, there are limited options available along this coastal region. Accommodations: Options range from boutique hotels, to Inns and B&B's, but reserve early! Fall is typically the busiest time of year, the activities of harvest bring visitors from far and wide to experience the sights and smells of crush. Tip: Book your accommodations months in advance if you plan to visit August -October. 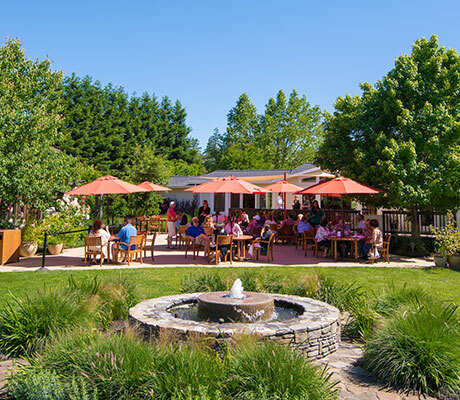 Restaurants: Anderson Valley boasts several dining options with a varied assortment of cuisines and price ranges. 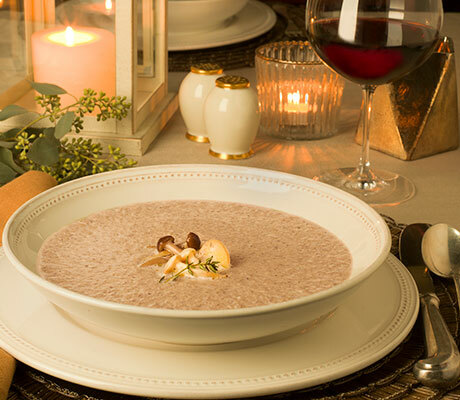 It's common to find locally sourced ingredients for a classic farm to table approach. With the Mendocino coast just a short drive away, many additional restaurants are well within reach. Activites: Wine tasting always takes center stage, but there are many additional activities to experience during a visit. Our region features many outdoor activities and is a short drive to the Mendocino coast. With so many options, it's good to have a place to start. Check out some of the excellent resources below to begin planning. 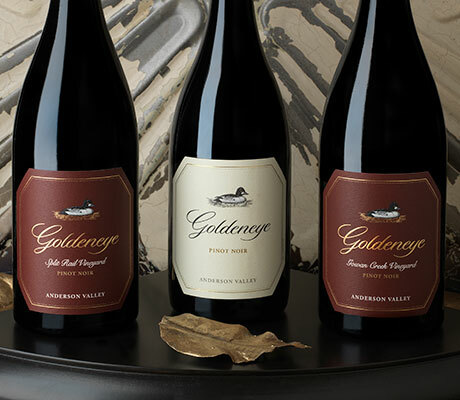 Tip: Wine Club Members have access to the Membership Conceirge for questions and help planning a visit. Not a member? Learn more! Featuring picturesque landscape and a calm, relaxing atmosphere take our quick tour of the property to see what Goldeneye is like before you arrive!